I am not sure how many of you are aware, but I am currently visiting Dubai. My sister moved here in January, so I took the first opportunity I could to come and visit. I have just finished my first full day, and what a day it was! We started off heading to Dubai Mall; the largest mall in the world! This includes an full size ice hockey pitch, an aquarium and even a taxi service running inside! After the mall we made our way outside to see the largest building in the world, “The Burj Khalifa“. Just as we got outside, the fountain show started which was a great experience. We then visited Dubai Marina, The Palm including a drive past the world famous Atlantis hotel. It’s such a different world out here, and money really is no object! After a short break back at home, we then spent the evening at the Global Village. It is only open until 8th April 2017 so I managed to get there just in time! There are buildings and landmarks from all around the world, including the Eiffel Tower, Statue of Liberty, Leaning Tower of Pisa and even Dubai’s own Burj Khalifa. Below you can find a few of my holiday snaps that I have taken tonight. I could have spent hours wandering around there taking more photos, however we needed to get back home to get my 16 month old Niece off to bed. It was a long day for us all, but especially her! 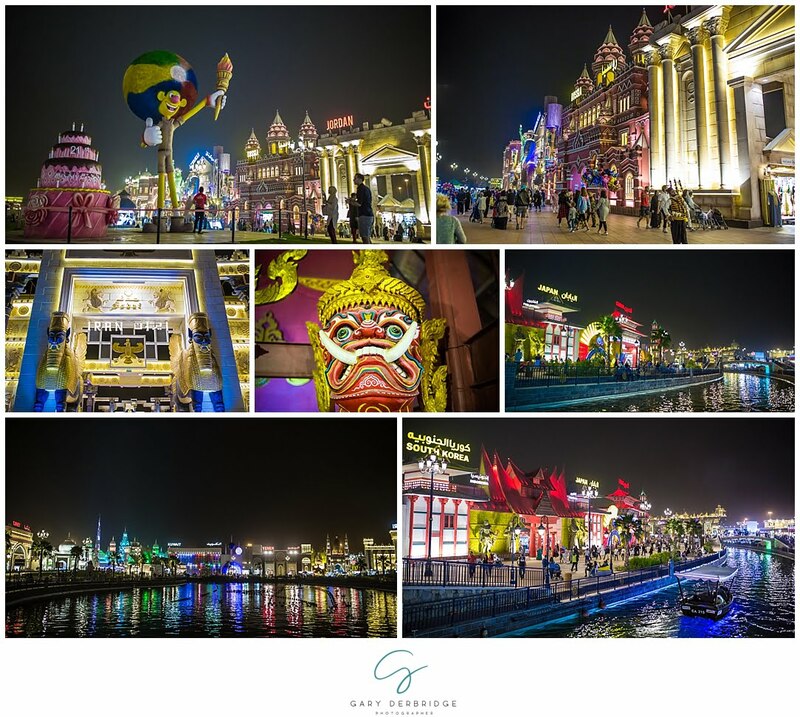 I will be sharing more images from my trip very now, but for now here are a few from the Global Village.